Our neighbors from our previous neighborhood recently moved into a new home and the kids and I finally got over to visit them last week. It was fun to get to see them and we are excited that they are only 10 minutes away from us now. The kids had a great time playing and it was nice to get to visit with Angie. 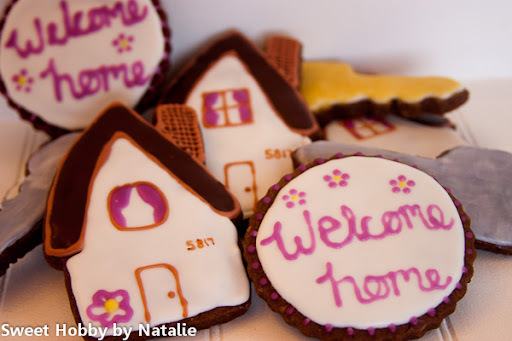 I had to make some housewarming cookies for them. My curtains don't look to hot, but oh well.